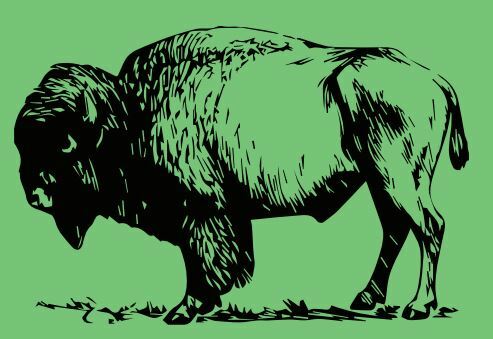 Fighting to return to the post-season, the Bisons overcame a tough 3-1 loss against Saskatchewan Friday night to earn a weekend split, winning Saturday night in three straight sets (25-19, 25-17, 25-22). Saturday’s win gave the Bisons critical points as they battle to hold onto the final playoff spot in the conference. The Bisons improved to 10-10 on the season and sit two points ahead of MacEwan University and four points ahead of Winnipeg for the last playoff spot. Manitoba and MacEwan will face off in the last series of the regular season on Feb. 7 and 8, a matchup that has the possibility of turning into a sudden death playoff elimination series. Against Saskatchewan, Rachel Cockrell picked up 39 kills and 10 digs, Brittany Habing collected 60 assists, 11 kills, and 13 digs, Jordana Milne had 14 kills, Caleigh Dobie had 21 digs, and Kalena Schulz added 16 digs. Manitoba is back in action against Winnipeg in the annual Duckworth Challenge on Thursday night in the Investors Group Athletic Centre. Game time is 6 p.m.
Their home matchup against Winnipeg will be their last home stand of the regular season and carries serious playoff implications. 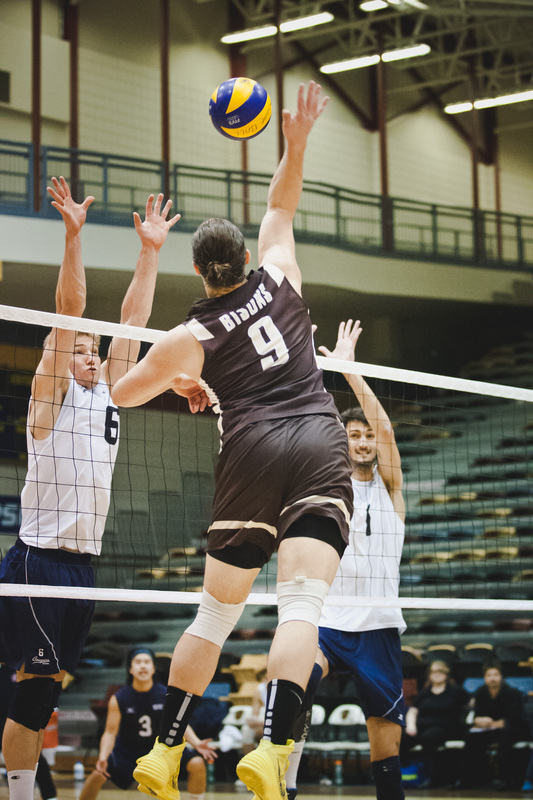 The men’s volleyball team, nicknamed the ’Zoons, split their weekend series against Saskatchewan. The ’Zoons picked up a 3-1 (25-17, 21-25, 33-31, 25-16) win Friday night, standing tall in a lengthy third set shootout that deflated the Huskies. The ’Zoons weren’t able to carry the momentum into Saturday night, losing 3-1 (25-23, 25-29, 14-25, 22-25). The men’s team currently sitssixth in the conference, holding firm on the second last playoff spot. Manitoba is in a tough four-way battle for the final two playoff spots with Thompson Rivers, UBC, and Calgary. Leading the way for the Bisons this weekend were Devren Dear and Kevin Falconer, who both threw down 25 kills. Kenny Rooney had 27 kills, with 17 being slammed on Friday night. Adam DeJonckheere picked up 17 kills, Luke Herr had 90 assists, and Alex Strachan added to the defence with 23 digs. The Bisons are back in action for the Duckworth Challenge on Thursday night against the University of Winnipeg at 8 p.m. Every game counts for the ’Zoons, who look to hold onto their playoff spot. The women’s hockey team improved their win streak to six with a weekend sweep of the Saskatchewan Huskies. The wins keep Manitoba insecond place and within reach of first place. The Bisons picked up a convincing 5-2 win Friday night, and battled the Huskies in a 4-3 match Saturday that needed an extra minute of play. Alana Serhan was impressive over the weekend, netting a hat trick on Friday night and picking up a goal and assist on Saturday night. Serhan now sitseighth in the conference in points and is tied for third in goals with 13. Sitting second in Canada West for points and goals is teammate Alanna Sharman, who had two assists Friday night and buried the overtime winner on Saturday night. Also scoring for the Bisons were Lauryn Keen, Kayleigh Wiens, Cassandra Taylor, and captain Maggie Litchfield-Medd. The Bisons will host Mount Royal this weekend at Max Bell. The series will be a battle of second place teams, as the Bisons sit second overall and Mount Royal sits in second last overall. Game times are 6:30 and 1 p.m., on Friday and Saturday, respectively.